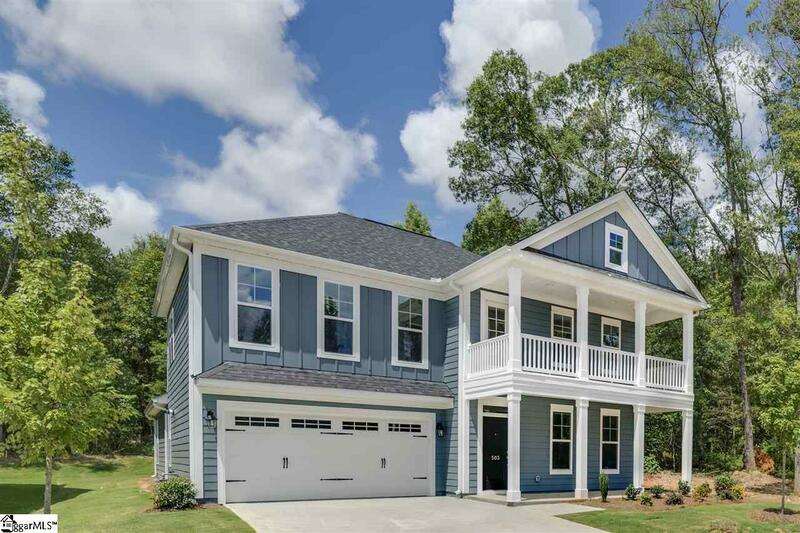 The Starks at Woodland Chase features a gorgeous two story rocking chair front porch. This functional plan is meant for entertaining with its large flat center island that includes an overhang for bar-stool seating. Designer finishes include staggered height cabinets with crown molding, pewter cabinet hardware, gorgeous quartz countertops, subway backsplash, a huge walk-in pantry, and a built-in Bluetooth enabled music port that connects to two included ceiling speakers. The kitchen includes GE stainless steel appliances. 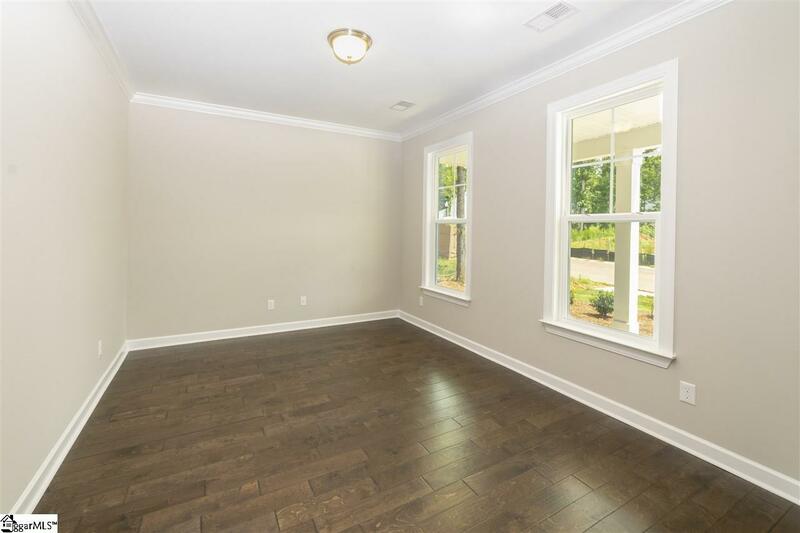 Wide planked lightly hand-sculpted hardwood floors and crown molding greet you in the front entry and flow throughout the main living areas of the home. A patio door leads out from the family room into a covered porch, which overlooks the wooded backyard. An executive home office is privately tucked away from the open concept living areas. 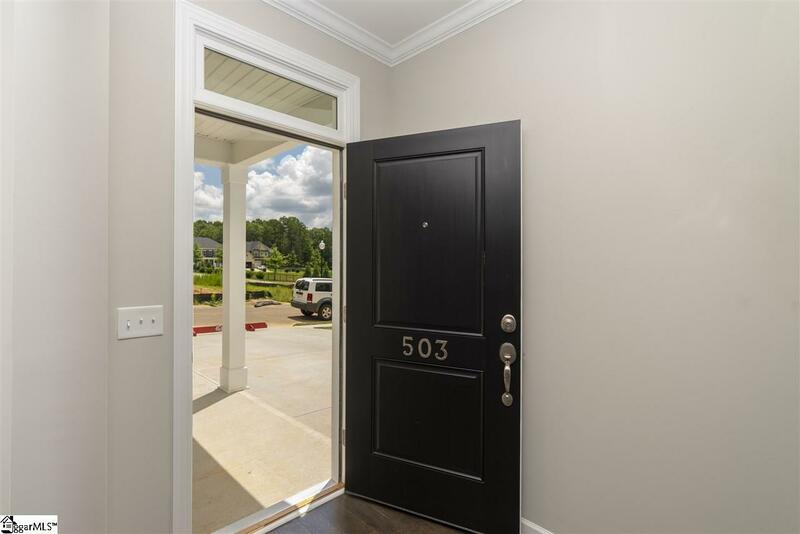 The master is located on the main level and features a tray ceiling, crown molding, a spacious walk-in closet, and an en-suite bath with his & hers sinks and a separate tub and shower. 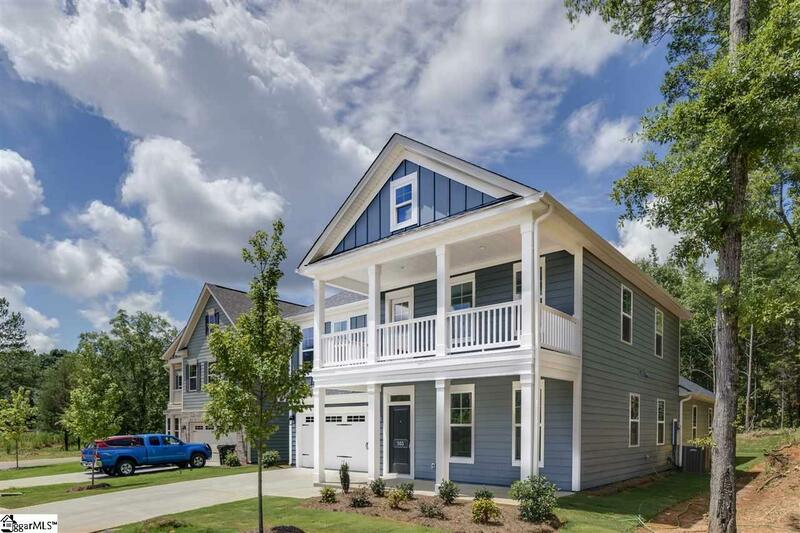 Hardwood stairs, accented by wrought iron open rail spindles, will lead you to the second story of the home, which features three bedrooms, unfinished walk-in attic storage and a large loft that has access to your 2nd story over sized front porch. Each of the upstairs bedrooms include a large walk-in closet. The two car garage includes a painted drywall finish and gas tankless hot water heater. This gorgeous home won't last long!